The Vietnamese economy, valued at US$ 200 billion, grew by a robust 6.1% in 2016, making it one of the fastest growing markets in the world. Vietnam has a large population of 95 million, with a median age of 29 years. 70% of the population is of working age and 33% live in urban areas. The government has sought to open up the country to trade and investment – which are the key drivers of the economy. Vietnam received an estimated US$ 15.8 billion in actual FDI in 2016, up 9% from 2015. It is seeing more manufacturing and technology-based investment projects in recent years, and has gained worldwide fame as a go-to place for export manufacturing. As per the plan, the EZ is expected to reach Gross Regional Domestic Product (GRDP) of USD 1.98 billion and GRDP per capita of USD 12,242 in 2030, which would be four times higher than the expected level in 2020 and create jobs for 106,000 people. The provincial People’s Committee has estimated that the Van Don EZ will require investment of around USD 70.2 billion by 2050. This investment will be sourced from the State budget, the private sector and foreign direct investment. Relevant ministries and agencies have been tasked with evaluating topographic features, climate, hydrology and geology, along with the natural and tourism resources of Van Don and its surrounding regions. An evaluation of the echnical and environmental infrastructure, including transport, water and electricity supply, waste water drainage and solid waste treatment, is also planne, along with an assessment of the socio-economic development, covering factors such as population development, occupational structure and employment rate and problems caused by urbanisation. The government office has launched a National e-Document Exchange Platform that connects Vietnam government offices, ministries, agencies, and localities, and enables secure sharing of data to support progress towards e-Government, e-Cabinet and digital economy. In July, the Prime Minister of Vietnam signed Decision No. 28/2018/QD-TTg prescribing the sending and receipt of e-documents among government agencies. According to the Decision, e-document refers to a document in the form of data message created or digitized from a paper document using a protocol or format specified by a competent state agency. E-documents that bear a digital signature in accordance with law and are sent and received via document management and administration systems specified in this Decision have the same legal validity as paper documents and may substitute for paper documents. Every e-document is supposed to be sent on the day when it is signed or by the morning of the subsequent working day. After being received, incoming e-documents which are legally valid are supposed to be promptly processed without having to wait for paper documents (if any). Urgent e-documents shall be put in the priority mode clearly stating the urgency level, sent immediately after a digital signature is put on it and submitted or transferred for processing right after being received. Currently, the Party Central Committee’s office, 31 ministries and agencies, and 63 provinces and cities have connected to the platform to speed up sending and receiving documents with a safer manner. The platform is expected to result in cost savings of more than VND 1.2 trillion (USD 52.17 million) each year and improve the state administrative bodies’ effectiveness and quality. The Government also hopes to put into use an information system to serve the Cabinet’ meetings and work processing (eCabinet) and a national public service portal to monitor online service delivery by ministries and agencies. Relevant stakeholders have been asked to continue working to complete national databases on population, insurance, finance, business registration, national land, electronic household registration, and specialised data, which will be connected with the platform during the 2020-2025 period. A dengue fever forecasting Model Satellite-based system (D-MOSS) was launched in Hanoi in March 2019. The early warning system created by D-MOSS is being piloted in Hanoi, Dak Lak, Khanh Hoa and Dong Nai. The project aims to develop tools which allows the government and public health authorities to: issue alerts for dengue, so that relevant agencies and communities can take appropriate actions to mitigate the impacts and damages caused by dengue outbreaks; and provide assessment of vector-borne disease risks under future climate and land-use chage scenarios. Vietnam witnessed a surge in dengue cases in 2017 experiencing over 170,000 cases of infection across the country. The system will take into account water supplies and precipitation that directly affect mosquito breeding sites along with other variables such as the number of dengue cases, land use and temperature. The project is funded by the UK Space Agency’s International Partnership Programme, and developed with joint efforts of the United Nations Development Programme (UNDP), the World Health Organization (WHO) and a consortium led by HR Wallingford, a civil engineering and environmental hydraulics organisation created by the UK Department of Scientific and Industrial Research. The consortium comprises HR Wallingford, UNDP, WHO, the London School of Hygiene and Tropical Medicine, the Met Office and Oxford Policy Management in the UK, Institute of Meteorology, Hydrology and Climate Change of the Viet Nam Ministry of Natural Resources and Environment, and the Pasteur Institute Ho Chi Minh City and the National Institute of Hygiene and Epidemiology of the Ministry of Health. The International Partnership Programme is a five-year, GBP 152 million (USD 200 million) programme designed to partner UK space expertise with overseas governments and organizations to deliver sustainable, economic or societal benefits. With the industrial sector account for 47% of Vietnam's total energy consumption, the country's Ministry of Industry and Trade (MOIT) is reviewing businesses to explore reduction of energy usage by the high volume consumers of energy. MOIT has planned several policies, such as requiring enterprises to have staff specialising in saving energy and have an energy audit every three years. They will also have to report on their energy consumption and plans to save energy to authorities in their localities. In addition, the government is providing technical support for energy audits, conducting worker training and showcasing energy saving technologies, under the national programme on energy saving for the 2019-30 period. The national programme includes a target of reducing energy loss in the steel and cement sectors to 16.5%. This will be implemented in two phases, the first from 2019-25 and the second from 2026-30, and could reduce the country's total energy used by between 5 and 7% in the first phase. The ministry has also received USD 6 million fund from Denmark for setting up a fund for brick manufacturers to upgrade their equipment and save energy. Within 2 years, 63 small- and medium-sized firms manufacturing bricks have accessed loans from the fund. MOIT is also making preparation for an energy saving project which will provide technical support to businesses, with support from the World Bank through Vietcombank and BIDV. A smart city plan has been approved for Binh Duong province. The plan will focus on applications of advanced technologies in the areas of electronic government and traffic management and training of high-quality human resources. It also includes the development of a hi-tech industrial park and LED lighting project, along with support for entrepreneurs. Many big projects are expected to be finished in 2019, such as a Centre for Community Initiatives and Start-up Support, two Fablabs at Thu Dau Mot University and Vietnam-Singapore Vocational College. In addition a project to build a Science and Technology Industrial Park is awaiting government approval. The province is inviting investors from foreign countries as well as experts from local and international business to help with the implementation of the plan. Related events are being organized since 2016. The WTA Summit in 2018 attracted 100 members from the World Technopolis Association (WTA) from nearly 50 countries and territories. 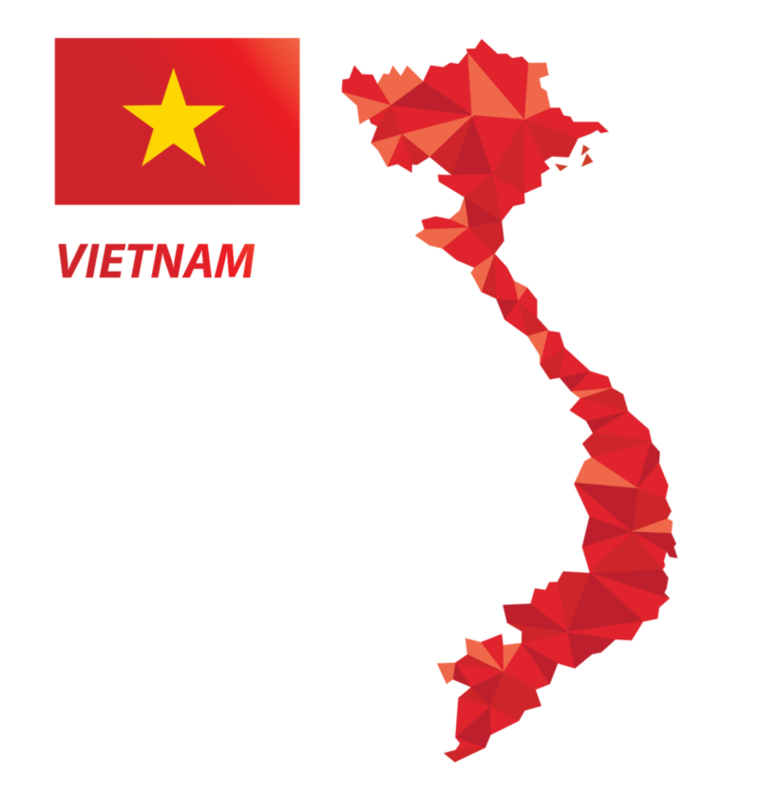 Vietnam is becoming a favored destination for solar photovoltaics (PV) manufacturers, driven by the low costs of manufacturing in Vietnam combined with rising global demand and US tariffs of up to 165% on crystalline silicon PV solar imports from China and Taiwan to prevent dumping. In early March 2019, TTI Group from the US expressed interest in developing a solar panel manufacturing plant and an R&D center in Saigon Hi-Tech Park (SHTP) in Ho Chi Minh City (HCMC) with an investment of USD 150 million. First Solar, one of the US biggest solar manufacturers, is also set to return to Vietnam five years after leaving the country. It is moving forward on its plans for the initial factory, and has committed to a second factory in Dong Nam Industrial Park in Ho Chi Minh City. The two factories are expected to produce 2.4 gigawatts (GW) worth of First Solar’s Series 6 modules annually after becoming fully operational. The company is also looking into module supply agreements to support local projects. Meanwhile, in the North of Vietnam, Chinese and Taiwanese companies are main investors. Bac Giang has eight projects which will form the largest solar energy equipment manufacturing chain in Vietnam, with a total capacity of 5,200 megawatts (MW) per year. One of those plants is being constructed by JA Solar with capital of investment up to USD 280 million. Some well-known Chinese manufacturers such as Trina Solar, JA Solar, and Bowerway Group have been shifting production to Vietnam for a while now. In 2019 Trina Solar announced a new 258 MW project located in Ninh Thuan, the central province of Vietnam. This is one of the largest solar power projects with investment capital of 220 million USD from Vietnam’s Trung Nam Group. A memorandum of understanding (MOU) has been signed by Vietnam Airlines and Sabre, a leading provider of systems for air bookings, as part of efforts to take forward the implementation of the former's Digital Transformation Programme. This new agreement follows a USD 400 million renewed deal between Vietnam Airlines and Sabre in 2018. Under the MOU, Vietnam Airlines would potentially pay USD 300 million for innovative technology from Sabre AirVision and AirCenter portfolio. The state-owned airline expects that its existing passenger service system (PSS) will be complemented by SabreSonic which helps to deliver cost savings and improve operational efficiency. Vietnam Airlines is considering the application of a new, long-term domistic content distribution agreement through the Sabre Global Distribution System (GDS). One of the airline's subsidiary will also adopt the SabreSonic PSS. A deal is expected to be finalized within a few months to implement a single integrated passenger technology platform across both airlines. The lastest report from Nielsen on Vietnam's FMCG market has found that Vietnamese manufacturers earned 42% of the FMCG sector’s total revenues, in the four largest market segments -- food, beverages, home care and personal care products. A 2019 report from Kantar Worldpanel also found similar numbers, stating that local brands account for up to 71% market share in larger cities and 78% in rural areas. In the food and beverage segments, Vietnamese enterprises, have a market share of 69% and 45% respectively. The local brands have the advantage of understanding consumers’ customs and tastes and having extensive distribution networks reaching into the remotest parts of the country. In addition, their quality has been improving recently and their prices have become more competitive and more and more modern retail chains are becoming distributors for local FCMG manufacturers. However this has meant that foreign companies have been acquiring local brands as an entry point into the market. There is an increasing pace of M&A deals in Vietnam, mostly stayed with state-owned companies who are privatizing their businesses. Kinh Do, one of the largest food processing manufacturers in Vietnam sold its entire confectioneries business to Mondelez International. Thaibev acquired a controlling stake in Sabeco, the largest beverage company in Vietnam in terms of market share, in December 2017. South Korean CJ Corp acquired over 70% share of food processor Cau Tre Foods and 100% of kimchi distributor Ong Kim, in 2018. The same company also acquired 4% share in Vissan Vietnam's leading meat processors.